"Bellinsgauzen" redirects here. For the lunar crater, see Bellinsgauzen (crater). Fabian Gottlieb Thaddeus von Bellingshausen (Russian: Фадде́й Фадде́евич Беллинсга́узен, tr. Faddéy Faddéevich Bellinsgáuzen; 20 September [O.S. 9 September] 1778 – 25 January [O.S. 13 January] 1852), a Baltic German naval officer in the Imperial Russian Navy, cartographer and explorer, who ultimately rose to the rank of admiral. He participated in the First Russian circumnavigation of the globe and subsequently became a leader of another circumnavigation expedition that discovered the continent of Antarctica. Bellingshausen started his service in the Russian Baltic Fleet, and after distinguishing himself joined the First Russian circumnavigation of the Earth in 1803–1806, serving on the merchant ship Nadezhda under the captaincy of Adam Johann von Krusenstern. After the journey he published a collection of maps of the newly explored areas and islands of the Pacific Ocean. Subsequently, he commanded several ships of the Baltic and Black Sea Fleets. As a prominent cartographer, Bellingshausen was appointed to command the Russian circumnavigation of the globe in 1819–1821, intended to explore the Southern Ocean and to find land in the proximity of the South Pole. Mikhail Lazarev prepared the expedition and was made Bellingshausen's second-in-command and the captain of the sloop Mirny, while Bellingshausen himself commanded the sloop Vostok. During this expedition Bellingshausen and Lazarev became the first explorers to see the land of Antarctica on 27 January 1820 (New Style). They circumnavigated the continent twice and never lost each other from view. Thus they disproved Captain Cook's assertion that it was impossible to find land in the southern ice-fields. The expedition discovered and named Peter I Island, Zavodovski, Leskov and Visokoi Islands, the Antarctic Peninsula and Alexander Island (Alexander Coast), and made other discoveries in the tropical waters of the Pacific. Made counter admiral on his return, Bellingshausen participated in the Russo-Turkish War of 1828–1829. Promoted to vice-admiral, he again served in the Baltic Fleet in 1830s, and from 1839 he was the military governor of Kronstadt, where he died. In 1831 he published the book on his Antarctic travels, called Double Investigation of the Southern Polar Ocean and the Voyage Around the World (Двукратные изыскания в южнополярном океане и плавание вокруг света). Russians remember him as one of their greatest admirals and explorers. Multiple geographical features and locations in the Antarctic, named in honor of Bellingshausen, commemorate his role in the exploration of the southern polar region. Bellingshausen was born to a Baltic German noble Bellingshausen family in the Lahhentagge manor [et], Ösel County in the Governorate of Livonia of the Russian Empire; now Saare County, Estonia. His paternal family had Holsteinish origins, the surname Bellingshausen was first recorded in Lübeck. He enlisted as a cadet in the Imperial Russian Navy at the age of ten. After graduating from the Kronstadt naval academy at age eighteen, Bellingshausen rapidly rose to the rank of captain. A great admirer of Cook's voyages, Bellingshausen served from 1803 in the first Russian circumnavigation of the Earth. He was one of the officers of the vessel Nadezhda ("Hope"), commanded by Adam Johann von Krusenstern. The mission was completed in 1806. After the journey Bellingshausen published a collection of maps of the newly explored areas and islands of the Pacific Ocean. Bellingshausen's career continued with the command of various ships in the Baltic and Black Seas. From 1812 to 1816 he commanded the frigate Minerva and from 1817 to 1819 the frigate Flora, both in the Black Sea Fleet. During 1812 he met on Macquarie island Richard Siddins, the Australian captain of the ship Campbell Macquarie. When Emperor Alexander I authorized an expedition to the south polar region in 1819, the authorities selected Bellingshausen to lead it as an experienced captain and explorer, and a prominent cartographer. The expedition was intended to explore the Southern Ocean and to find land in the proximity of the South Pole. The preparation work on the two ships, the 985-ton sloop-of-war Vostok ("East") and the 530-ton support vessel Mirny ("Peaceful") was carried out by Mikhail Lazarev, who had captained his own circumnavigation of the globe before. Bellingshausen became the captain of Vostok, and Lazarev captained Mirny. The journey started from Kronstadt on 4 June 1819. They stopped briefly in England, where Bellingshausen met with Sir Joseph Banks, the president of the Royal Society. Banks had sailed with Captain James Cook fifty years earlier and supplied the Russians with books and charts for their expedition. 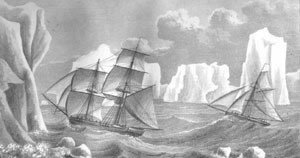 Leaving Portsmouth on 5 September 1819 the expedition crossed the Antarctic Circle (the first to do so since Cook) on 26 January 1820 (New Style). On 27 January the expedition discovered the Antarctic mainland approaching the Antarctic coast at a point with coordinates 69º21'28"S 2º14'50"W and seeing ice-fields there. The point in question lies within twenty miles of the Antarctic mainland. Bellingshausen's diary, his report to the Russian Naval Minister on 21 July 1821 and other documents, available in the Russian State Museum of the Arctic and Antarctic in Saint Petersburg, Russia, were carefully compared with the log-books of other claimants by the British polar historian A. G. E. Jones in his 1982 study Antarctica Observed. Jones concluded that Bellingshausen, rather than the Royal Navy's Edward Bransfield on 30 January 1820 or the American Nathaniel Palmer on 17 November 1820, was indeed the discoverer of the sought-after Terra Australis. During the voyage Bellingshausen also visited Ship Cove in New Zealand, the South Shetland Islands, and discovered and named Peter I, Zavodovski, Leskov and Visokoi Islands, and a peninsula of the Antarctic mainland that he named the Alexander Coast but that has more recently borne the designation of Alexander Island. Mikhail Lazarev, captain of Mirny and second-in-command to Bellingshausen during the Antarctic expedition. Bellingshausen and Lazarev managed to twice circumnavigate the continent and never lost each other from view. Thus they disproved Captain Cook's assertion that it was impossible to find land in the southern ice fields. The expedition also made discoveries and observations in the tropical waters of the Pacific Ocean. Returning to Kronstadt on 4 August 1821, Bellingshausen was made counter admiral. He fought in the Russo-Turkish War of 1828–1829 and attained the rank of vice admiral in 1830. In 1831 he published the book on his Antarctic travel, called Double Investigation of the Southern Polar Ocean and the Voyage Around the World (Двукратные изыскания в южнополярном океане и плавание вокруг света). He became the military governor of Kronstadt, the port of St Petersburg, from 1839, and died there in 1852. Fabian Gottlieb von Bellingshausen is remembered in Russia as one of its greatest admirals and explorers. In the Antarctic, multiple geographical features and locations, named in honor of Bellingshausen, remind of his role in exploration of the southern polar region. There is a memorial stone of von Bellingshausen on the previous site (on the ruins) of Lahhentagge/Lahetaguse manor in Ösel/Saaremaa. There is a monument to Bellingshausen in Nikolayev, Ukraine. There is a monument to Admiral Bellingshausen in Kronstadt. Bellingshausen Island (was) in the Aral Sea. ^ "Bellingshausen and the discovery of Antarctica". Polar Record. Cambridge University Press. 15 (99): 887–889. September 1971. doi:10.1017/S0032247400062112. Retrieved 6 January 2015. ^ Ellis, Richard (2013). The Empty Ocean (Herzien ed.). Island Press. p. 172. ISBN 1597265993. Retrieved 24 November 2017. ^ A.H. McLintock, ed. (1966). "Ship Cove". An Encyclopedia of New Zealand. Ministry for Culture and Heritage/Te Manatū Taonga, Government of New Zealand. Retrieved 5 October 2018. Peter I Island is an uninhabited volcanic island in the Bellingshausen Sea, 450 kilometres (280 mi) from continental Antarctica. 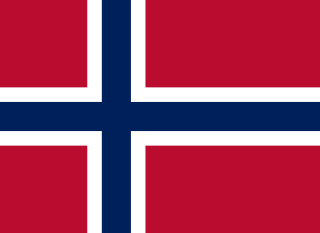 It is claimed as a dependency of Norway, and along with Bouvet Island and Queen Maud Land comprises one of the three Norwegian dependent territories in the Antarctic and Subantarctic. Peter I Island is 11 by 19 kilometres long and 156 square kilometres (60 sq mi), slightly larger than Staten Island as an example. The tallest peak is the ultra and 1,640-meter (5,380 ft) tall Lars Christensen Peak. Nearly all of the island is covered by a glacier and it is surrounded most of the year by pack ice, making it inaccessible during these times. There is little vertebrate animal life on the island apart from some seabirds and seals. Elephant Island is an ice-covered mountainous island off the coast of Antarctica in the outer reaches of the South Shetland Islands, in the Southern Ocean. Its name was given by early explorers sighting elephant seals on its shores. 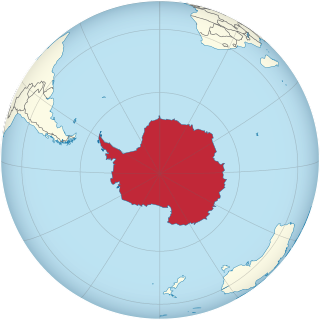 The island is situated 245 kilometres north-northeast of the tip of the Antarctic Peninsula, 1,253 kilometres west-southwest of South Georgia, 935 kilometres south of the Falkland Islands, and 885 kilometres southeast of Cape Horn. It is within the Antarctic claims of Argentina, Chile and the UK. Brazil has a shelter on the island, Goeldi, supporting the work of up to six researchers each during the summer and had another (Wiltgen), which was dismantled in the summer of 1997/98. Admiral Mikhail Petrovich Lazarev was a Russian fleet commander and an explorer. Bellingshausen Island is one of the most southerly of the South Sandwich Islands, close to Thule Island and Cook Island, and forming part of the Southern Thule group. It is named after its discoverer, Baltic German-Russian Antarctic explorer Fabian von Bellingshausen (1778–1852). The first Russian circumnavigation of the Earth took place from August 1803 to August 1806. It was sponsored by Count Nikolay Rumyantsev, funded by the Russian-American Company, and was headed by Adam Johann von Krusenstern. In addition to its exploratory goals, the expedition was also meant to help establish diplomatic and economic relations between Russia and Japan, for which the party included a large diplomatic delegation headed by Court Chamberlain and Ambassador Nikolai Rezanov. The Lazarev Sea is a proposed name for a marginal sea of the Southern Ocean. It would be bordered by two proposals from a 2002 International Hydrographic Organization (IHO) draft, a King Haakon VII Sea to the west and a Riiser-Larsen Sea to the east, or between the Prime Meridian of 0° and 14°E. It would stretch over an area of 929,000 km2 (359,000 sq mi).